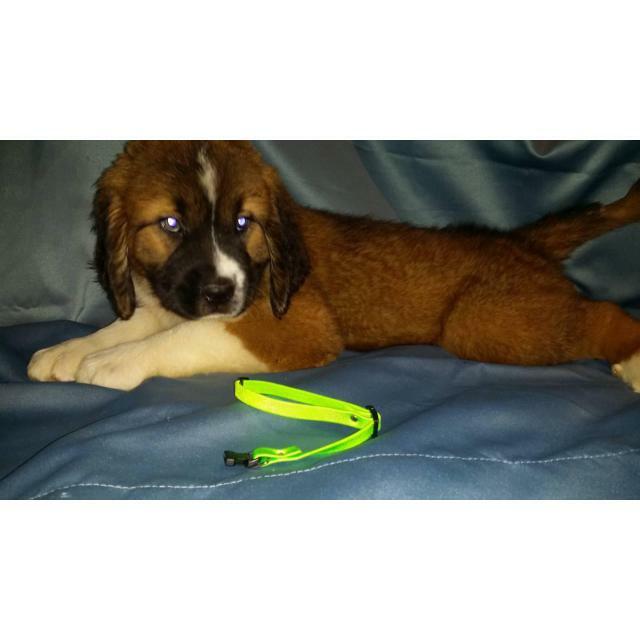 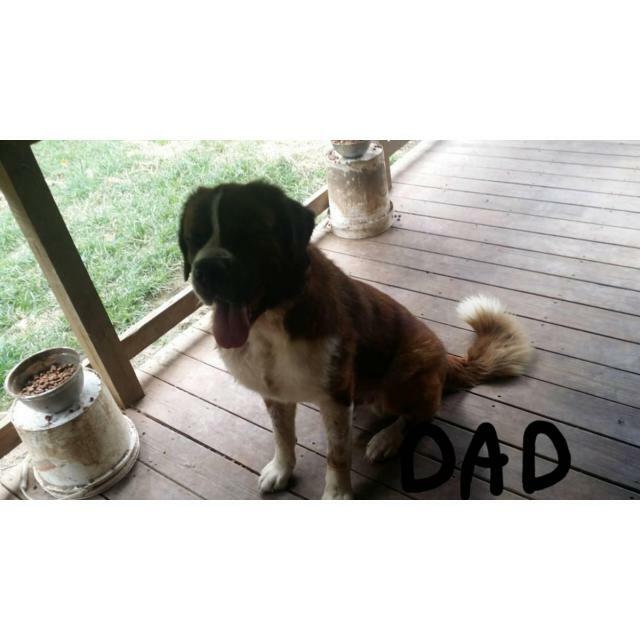 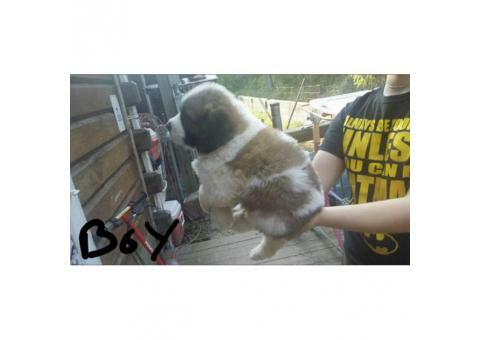 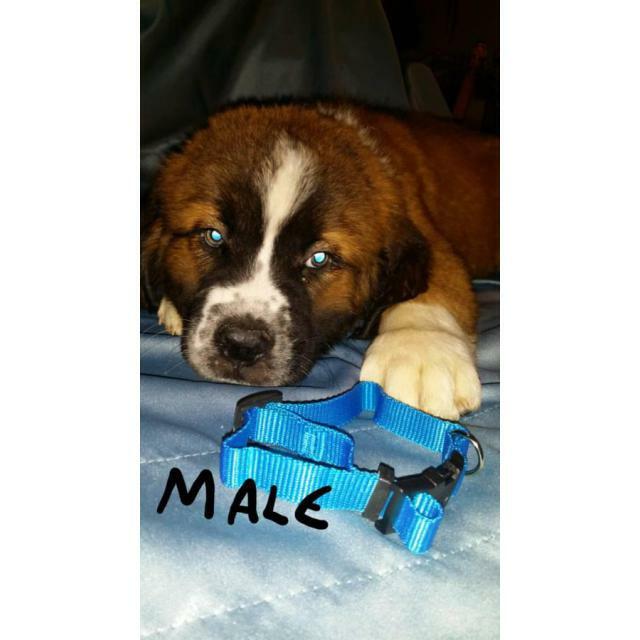 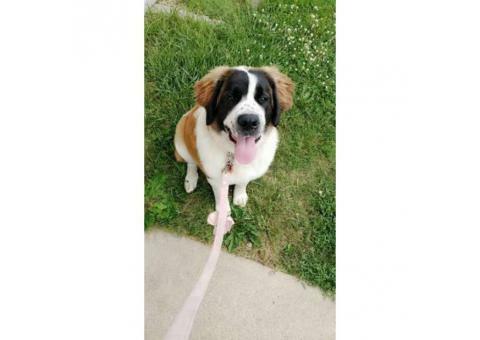 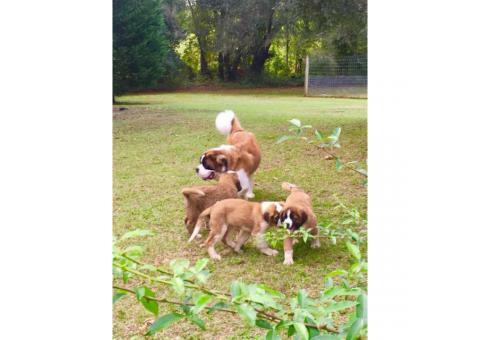 Saint Bernards 5 males and three females from 2 litters. 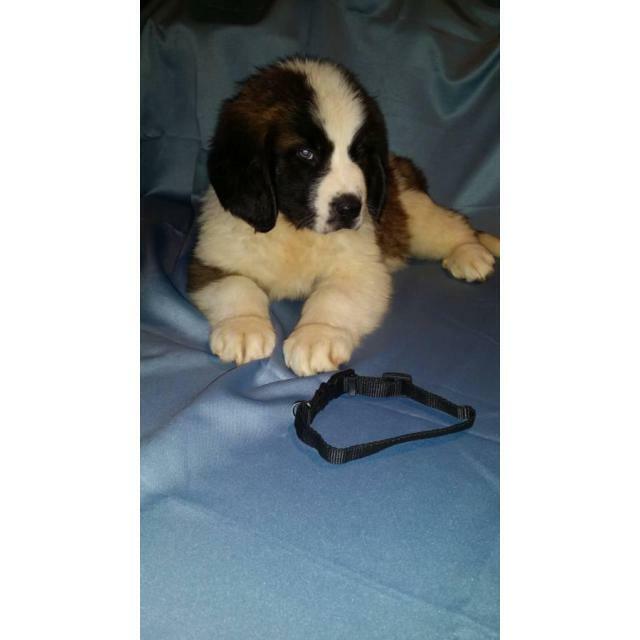 Born July 25th. 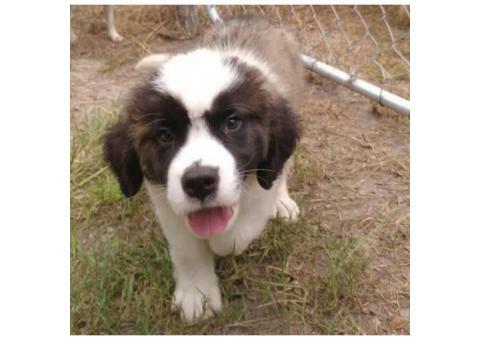 10 weeks old. 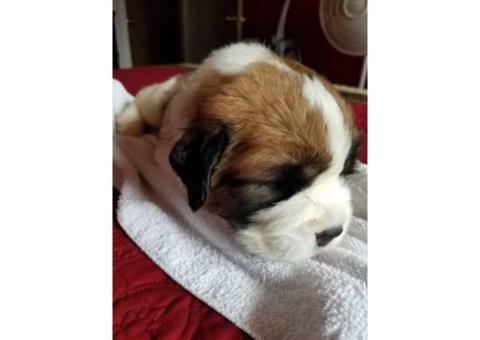 To remain vet checked, dewormed, bordatella, and third and fourth shots. 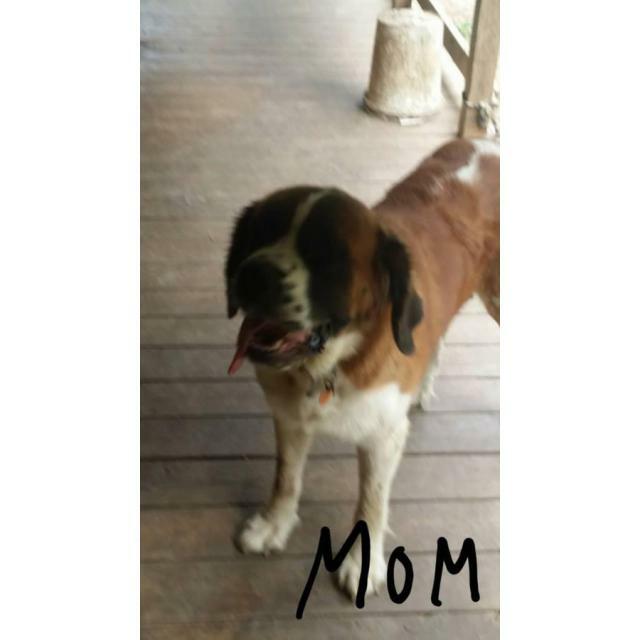 Both moms are full blooded not registered dry mouth weighs 120 - 130 possibly even and they are very loveable and sweet. 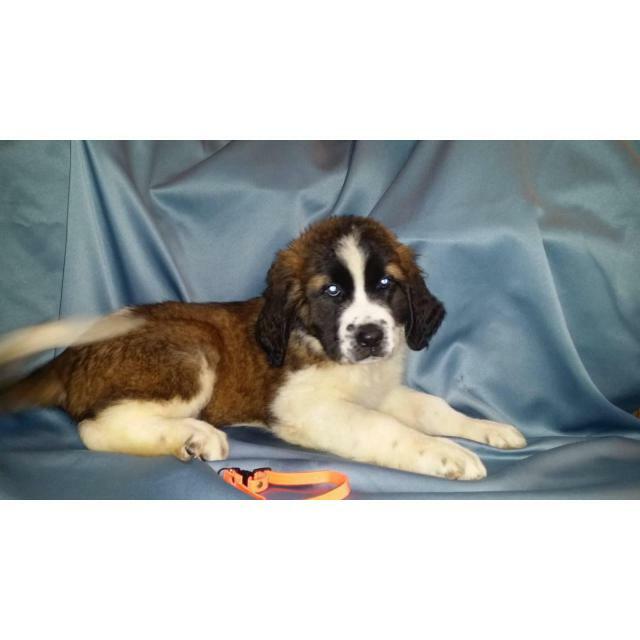 The dad in the fluffier whiter 4 males is AKC registered wet mouth weighs about 180 roughly and intensely lazy care-free and sweet. 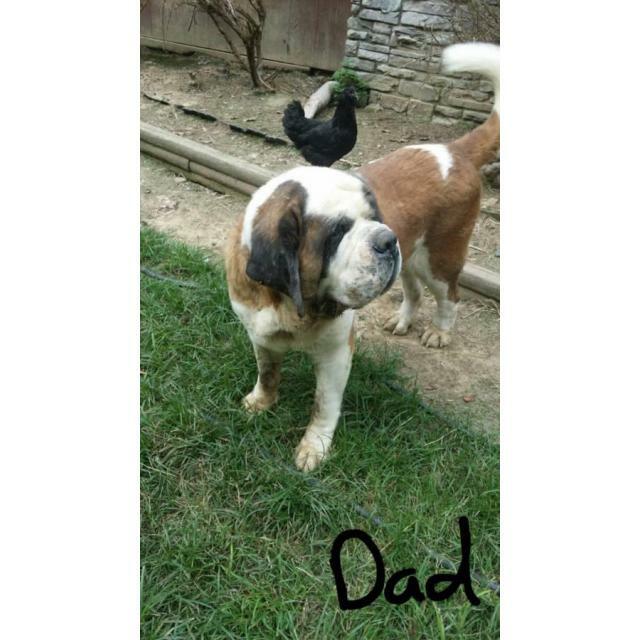 The dad from the females and male with solid blue collar is full blooded not registered dry mouth very protective and lovable is 150 or so. 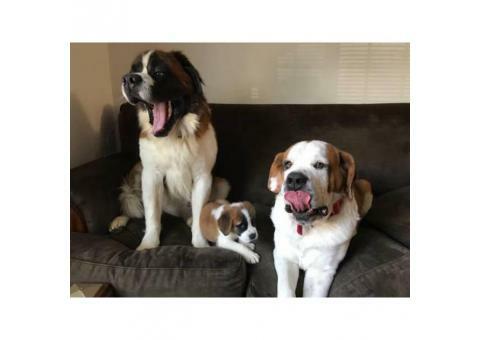 Each parent have never and do not have any health issues. 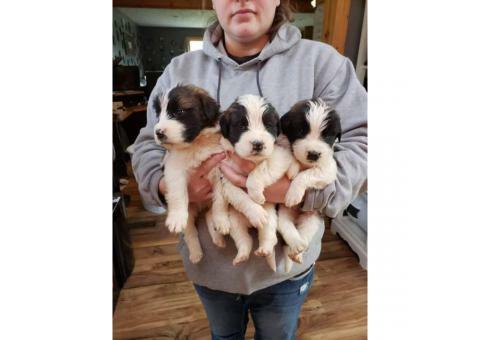 They are indoor/outdoors they only use bathroom outside then come within a doggy door to their crate.They've been eating dry diamond puppy food for 30 days now. 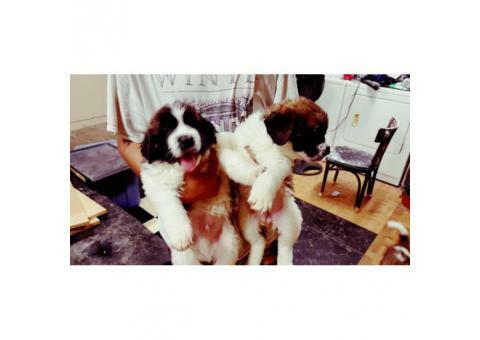 600 each for females and male with solid blue collar and 700 each for fluffy more white 4 males.